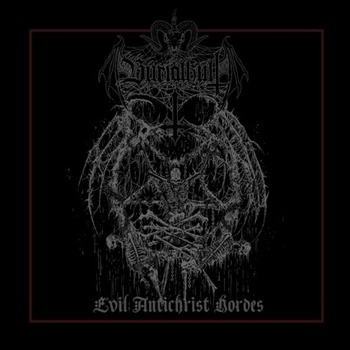 BURIALKULT was formed under a cold fullmoon union between Phlegathon (vocals), Funeral Aggressor (Bass) and Imperion (Guitar) in the wastelands of Canada in 2011 to spread the words of Luciferian Khaos and destruction. Soon after, the line up was solidified by Dominus on drums. It was then that BURIALKULT was epitomized as an un-holy kult and released a three song demo titled “Perverting The Altar” and under the black banner of sorcery perform unholy black-metal perversion.